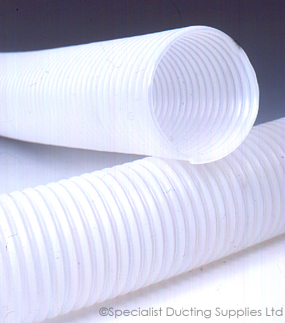 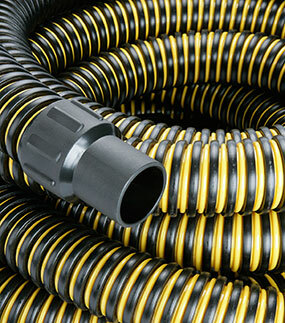 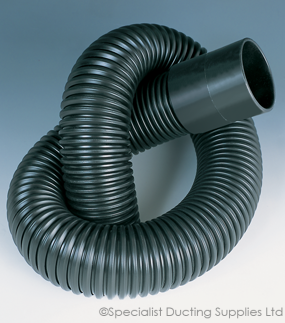 Polyethylene hose with a crush resistant integral helix. 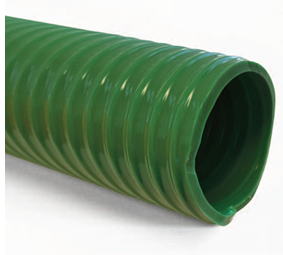 SDS Tiger Tail® Liquid Suction & Delivery Hose has been developed to offer improved durability and flexibility over standard duty PVC hose on mobile waste collection applications (ie Septic and Slurry tank pumping). 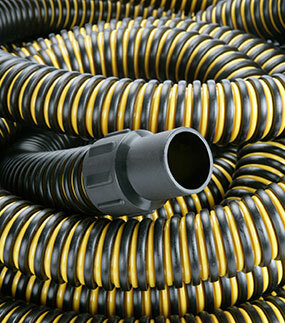 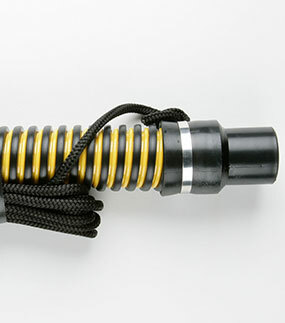 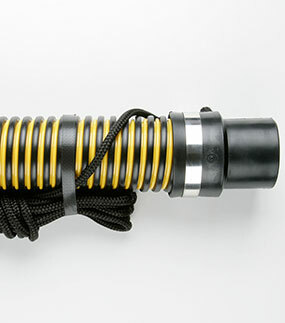 SDS Tiger Tail® hose has a proprietary polyethylene copolymer construction reinforced with an integral polyethylene helix that is kink resistant with a smooth bore. 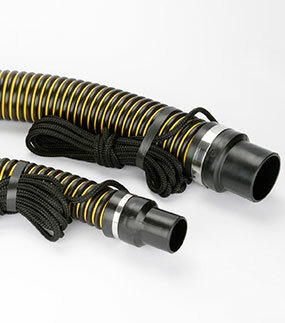 SDS Tiger Tail® hose has an abrasion resistant rounded external cap profile that slides easily over asphalt and concrete surfaces. 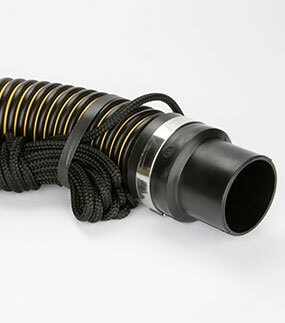 All SDS hose assemblies are manufactured with factory-installed SDS Tiger Tail® leak-proof Polyweld cuffs.